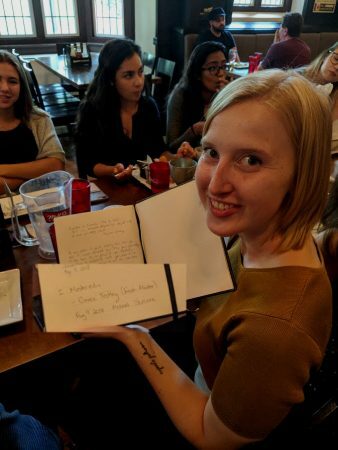 Congratulations to Grace Teskey for successfully defending her MSc! The Bowdish lab would like to congratulate our latest MSc, Grace Teskey on a great MSc defence. Congratulations Grace! 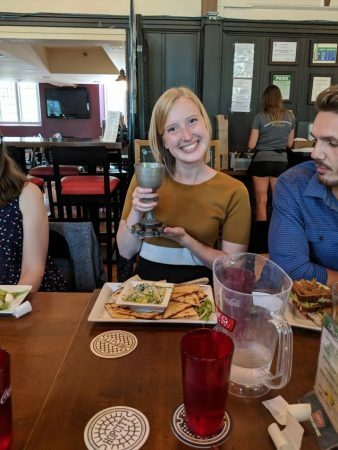 Grace drinks from the chalic after defending her MSc. This entry was posted in News and tagged graduate students, inflammation, success! by Dr. Dawn M. E. Bowdish. Bookmark the permalink.